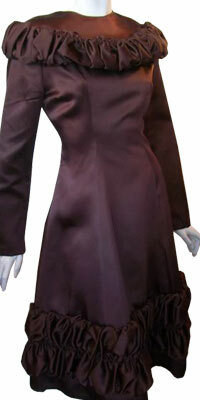 This dress has full sleeves and with frilled band around the neck and also the hem of the skirt. 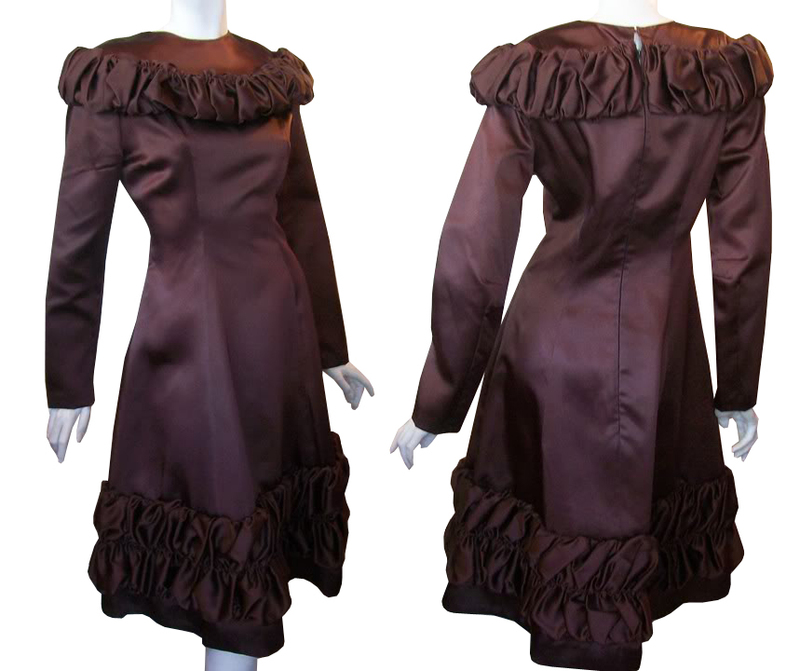 The dress is in knee length and the frilled band is a little broad. It looks very unique and exceptional because the rest of the details are simple and sophisticated.